7 Housemates where put up for possible eviction last week. 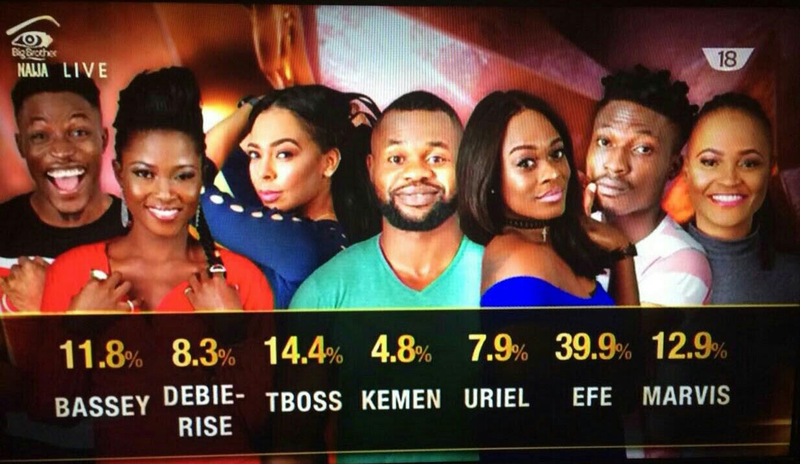 While Kemen was disqualified for inappropriate behaviour in the house, he had the lowest votes and was going to be evicted anyway. 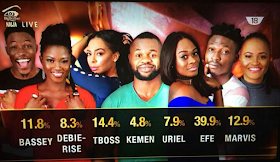 Uriel was also evicted for securing the second lowest votes from Viewers wgile Tboss and Efe secured the highest votes from Nigerians. There will be no eviction drama for this week.